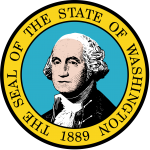 The Washington living will, ‘advance directive is a document that respects the US Statutes §§70.122.010 to 70.122.920 and is legally binding requiring two witnesses. It provides the patient with the ability to decide on their specific medical treatment should they become too ill, this can extend to life ending decisions. This will include things such as artificial life support and pain relief. The document can contain any extra details of the principal`s preferences and instructions, it becomes invalid if the principal is found to be pregnant or if the principal chooses to cancel the authority of the document at any specific time. The principal must enter their details. The principal must initial to express their preference to withhold or withdraw artificial hydration and nutrition. 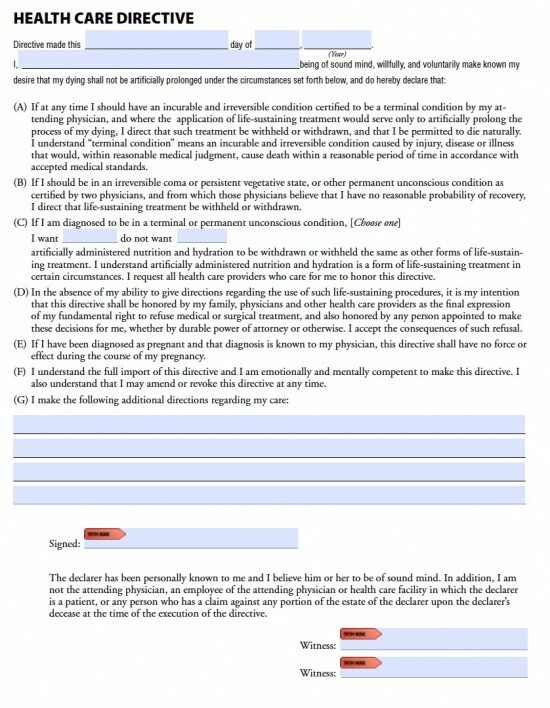 The principal may enter details of any other wishes they have regarding their medical health care treatment. The relevant fields must be completed with signatures.